I love these photographs by Alena Beljakova. Some are surreal, others are beautiful. Many involve people in unusual locations or costume. They are like some kind of strange film. I was delighted when I saw these photographs this week. There is something about unadulterated nature that takes my breath away. It's so much more beautiful than anything humans can create. This series of photographs has been taken by a variety of people along the Panamerican highway between Alaska and the Mexican border, I dream of this all the time. The American landscape is breathtaking. "The Deep Ones" - Black algae, drooping seaweed, salty brine, and crushed coral. A more appetizing sounding combination is "Arkham" A shadowy, unapproachable forest of maple, birch, dogwood, cypress and pine softened by a garland of New England wildflowers: bergamot, columbine, rue anemone, blue violet, creeping phlox, bloodroot, toadflax, and pixie moss. They also have Labyrinth themed scents, I would without a doubt go for "Jareth" Ethereal lilac fougere and gleaming leather with ti leaf, tonka absolute, white musk, and oudh. And finally, they have.... *drumroll* Fraggle Rock fragrances. It's almost too much to bear! I want everything! The Behind Ballet blog has a 'styling dance' feature and this time it's based on the film Suspiria. It's a visually striking film from Dario Argento, I was lucky enough to see it on the big screen a year or two ago. If you check the link you can see what Hila Shachar styled based on the film. If you aren't perturbed by horror films (it's more psychological than gory horror, although Dario Argento does love splashing blood around, it was the 70's after all) I highly recommend this film. It's pretty good, it has a surreal David Lynch type atmosphere to it. Speaking of David Lynch, I watched Blue Velvet this week for the first time (I know...) I really enjoyed it. I was wondering if Dennis Hopper's resemblance to David Lynch in the film was intentional? If so, I'm scared of David Lynch and his feelings toward blue velvet robes. I don't usually post about music. I'm not sure why, it's a really big part of my life. Anyway, for some background, I have a really wide taste in music from classical to country (only the old stuff in case you're wondering) to noisy screeching guitars and gentle folk songs. 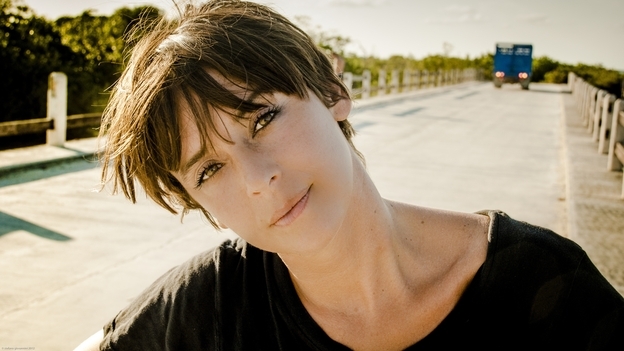 I'm pretty excited that Cat Power has a new album out, she is and artist that I really enjoy. You can listen to the entire album right now on NPR. I've only heard the first song, I thought I'd save it for the weekend. I hope you enjoy, she's one talented lady. Katrina from Pugly Pixel has written a guest post on Design Editor this week about time management. Do you get the idea that I lap these kind of posts up? I'm hoping all the information goes into my subconscious and I will start applying to life one step at a time until everything is calm, peaceful and organised like a Zen garden. I can dream, right?